A treasure lies on each adventure, errand, or dream. Opportunities can appear to be hidden on our map. To mine the treasure, we can use our intuition or as Louise Hay’s calls it our “inner ding”. Wherever we go in life, there is unlimited potential. When we find treasures; sharing is a magical multiplier. 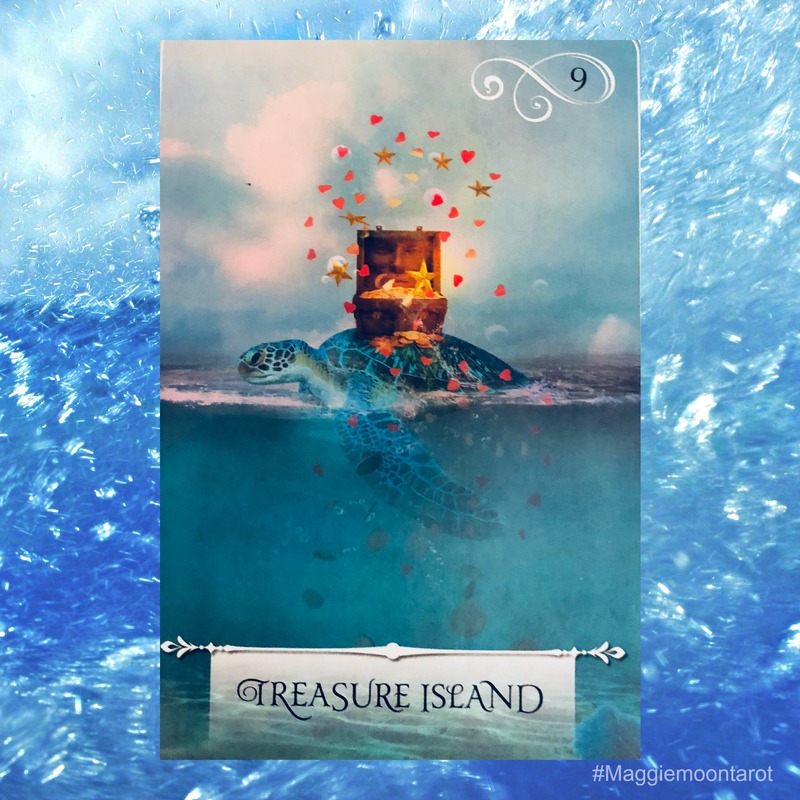 This entry was posted in Maggie Lukowski, Maggie Moon Tarot, Oracle Reading and tagged Alchemist, Inner Ding, Intuition, Maggie Lukowski, Maggie Moon Tarot, Magical Multiplier, Oracle, Sea Turtle, Sharing, Treasure, Treasure Island, Wisdom of the Oracle. Bookmark the permalink.